This is the third in a series of interviews that I hope to bring you. I want to cast a light on the wonderful people behind the British Quilting Industry. These are the people coming up with fun ideas, patterns and products for you to use in your quilting endeavours! I think we should celebrate and support the quilting talent we have here in Britain, don’t you? If you know someone who I should interview, or you would like to be interviewed yourself, either pop a comment in the comment box at the end of this post or drop me an email. Meet Nicola from Sew Busy. Sew Busy is sponsoring a prize on my Tumbling Spools Quiltalong. Nicola and I first met almost 6 years ago! Nicola was setting up her shop in my local town and contacted me about teaching my sewing classes there! So I know her really well, but some of you might not, so thought it would be fun to pose some of my interview questions to her for you all! 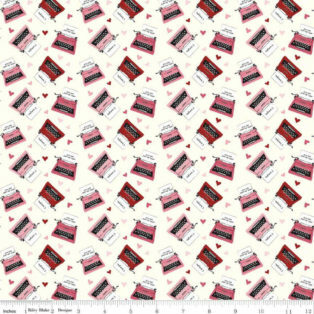 I'm Nicola, the owner of Sew Busy in Fleet, Hampshire, UK, a fabric store selling quilting cottons as well as some dressmaking fabric, ribbons, haberdashery and sewing gifts. I try to source items that aren't available locally and anything quirky is always popular. I love the vintage look and am always drawn to retro, kitsch prints as well as vintage florals. I have to remember sometimes to order for a range of tastes, not just mine! Q. What prompted you to set up your business within the quilting industry? I set up Sew Busy as there was nothing available in the local area providing prints to my taste and I felt that customers wanted to feel the fabrics and see the true colours rather than shop online. I also wanted to encourage beginners to start sewing, running workshops which is where Jo and I met. Jo ran lots of workshops from beginner sewing classes to more advanced quilting classes for us in our early years. I think a simple project can look stunning in a modern print without any other work needed. Q. What's new with you? What does 2019 have in store for your business? We have some lovely ranges on order for the coming months from various fabric houses. At the moment, I'm really loving the designs by Flamingo Toes who designs for Riley Blake, Bev's vintage caravan pixel quilt is high on my to do list. My first quilt was for my eldest child (now 19!) to lie on as a baby and that was when Laura Ashley was selling what is now known as charm squares. I still have that much loved quilt, a little worse for wear but I wouldn't change it. Q. What do you listen to/watch whilst sewing? I often hand sew, crochet or knit when I'm watching the tv (can't do nothing!) but when I'm at my sewing machine, I don't listen to or watch anything, I like the silence and just concentrate on my project. I still seem to make mistakes so maybe I should tune in to something! Q. So what was your biggest sewing mistake!? Did you fix it or chuck it? My worst mistake was a small lap quilt for my youngest (now 14) where I didn't know how to quilt with a machine. I ruined the quilt and stuffed it away in a cupboard. I recently found it and unpicked it. It's now been quilted again and my cats seem to appreciate it the most! Q. How about tools, do you have a favourite? My favourite tool at the moment has to be my Thread Heaven conditioner wax. It makes such a difference to hand sewing, I currently have a hexie EPP on the go from an older Tilda collection which is probably the latest project I'm working on; I don't think I'm alone in admitting I have several projects on the go...…..
Q. Where can we find you online? Our website is www.sew-busy.co.uk. We are on Facebook and Instagram as @sewbusyfleet. Really honoured to be a sponsor for The Tumbling Spools Quiltalong and it's lovely to see all the different designs popping up on my Instagram feed. Thanks for that Nicola! Sew Busy is full of wonderful products so if you get the chance do make a trip to Fleet to check it out for yourself. It’s inside a shopping centre with covered parking so it doesn’t even matter what the weather is doing! Lots of coffee shops and cafes to stop and recharge too! 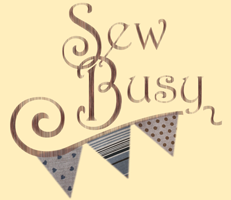 I couldn’t help myself have a little browse on the Sew Busy website. 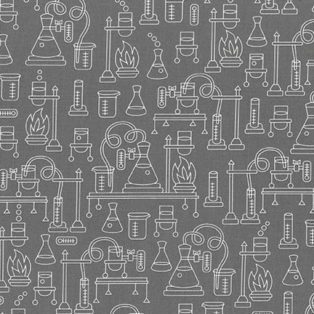 Here are some of my favourite fabrics!